This entry was posted on June 1, 2012 by Goplasticpallets. 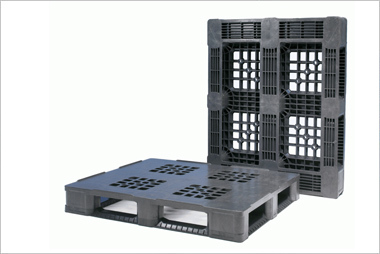 When Forresters Chicken decided to make the switch from cardboard to plastic containers for its poultry, Goplasticboxes.com, the UK’s leading independent supplier of plastic pallets and containers, held the hygienic advantage. Forresters, based in Kingsley in Cheshire, is a major UK manufacturer of cooked and raw chicken portions. 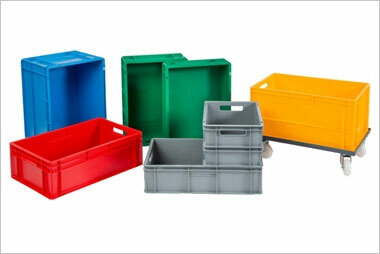 The company’s overriding commitment to quality encapsulates its aim to set the standard in hygiene, customer service and product excellence, making the company a perfect fit with Goplasticboxes.com. Heidi Nickson, Forresters’ Director, was already thinking about using plastic containers as they are durable and easy to clean, essential qualities in the food industry. An online search for plastic trays led her to Goplasticboxes.com. Heidi said: “I approached three different companies for quotes, but right from the start Goplasticboxes.com was the leader; they were the best value and the most efficient in terms of coming back to me quickly with answers to my questions”. 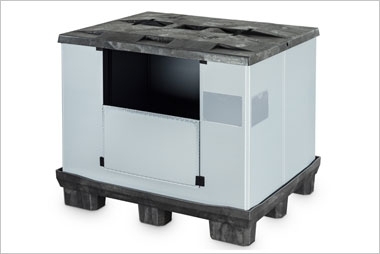 Forresters ordered just over 2,000 of the company’s GoBox 5000 food containers – a versatile range of stack and nesting containers with smooth and straight walls for large internal capacity and ease of cleaning. According to Heidi, the new plastic containers are replacing cardboard boxes and are being used to transport chicken products to customers as well as holding chicken in the internal factory. Each tray holds 10kg of product. Heidi said: “We are an A grade BRC approved food processing company. Top quality hygiene is key to our business success. Everything used in the factory must be food grade and either plastic or stainless steel ideally. “We needed plastic containers that were perforated to allow for drainage and good airflow. It was also important that they stacked well on top of each other to save space in storage and transportation. 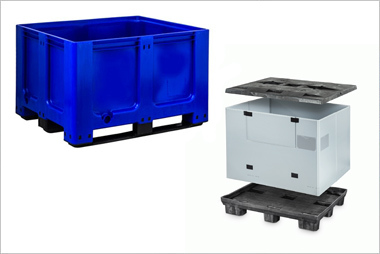 The GoBox 5000 plastic container is easy to clean, durable and can be used over and over again. 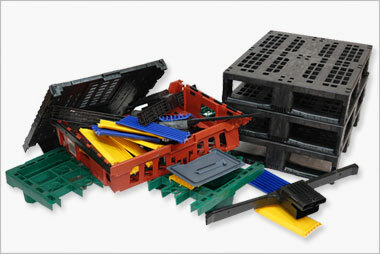 For further information about the GoBox food range of containers, visit www.goplasticpallets.com or call 01323 744 057.